Doesn’t disaster always strike on these routine resupply missions? ‘Desperate Prey’ takes a classic Star Trek plot hook and uses it to tell a fun adventure story. This episode doesn’t have any pretentions about delivering heavy roleplaying; instead, the author builds immersion by telling an exciting story where your captain is the star. A Starfleet officer who once defected to the Klingon Empire has made contact. Now seeking to switch sides again, this two-time traitor allegedly has knowledge of a powerful foe that threatens to not only destroy the Klingon Empire but everything else in their way. Sometimes a story tries to do too many things and ends up not really doing any of them. ‘Traitor’s Tales’ tries to combine many storytelling elements in an ambitious way, but still needs to some work to be fully successful. We’ve found a system used by the Tal Shiar to refit vessels. Its time to pay them an unexpected visit. ‘Turkey Shoot’ is a challenging, action-oriented episode that did a good job testing my abilities without completely overwhelming me. Melani Di’an has convinced the High Council to send someone on a diplomatic mission to open trade relations in the Gamma Quadrant. Often when I play a Foundry episode I wish the author hadn’t done something wrong. ‘Diplomacy’ is a different case: here I wish the author had done more of something right. This episode tells the beginning of an interesting story, but ends unfinished. Strange readings, blown up planets and the Borg. A volatile mix where you are needed to investigate what has been happening lately. “Collectiveness Strikes Gold” is a well-structured mission with excellent map design and an interesting story. While the episode struggles with some formatting and composition issues, it dodges many common design problems and provides a fun and action-packed experience. Torchbearers is a very straightforward episode that reprises a common theme: Starfleet needs your captain to find a missing ship and recover its top secret cargo. 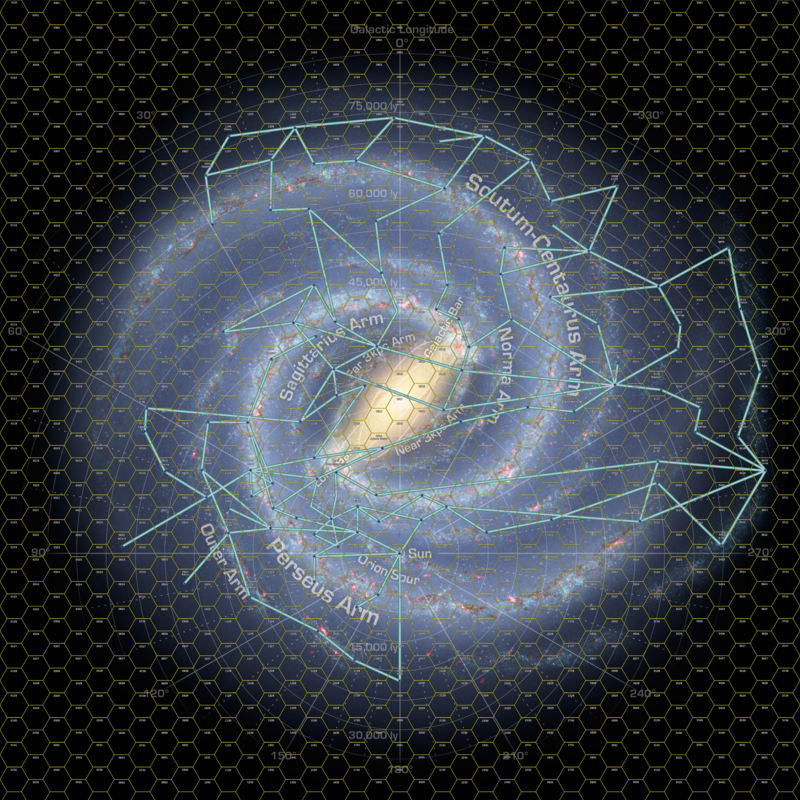 The Galaxy in Crisis strategic map is finally complete. This clears some big bottlenecks on the rules development and also lays the groundwork for some features I’ve wanted to add to the wiki for quite a while, such as historical maps showing the rise and fall of different factions. You can view the full map at this link. Fair warning, this is a large (30 megabyte) file. After a long hiaitus, some new articles have been added to the GIC wiki. In addition to a number of minor updates and expansions, 1200 words of content has been added in the form of three historical entries focusins on the early days of the Andromedan Crisis.